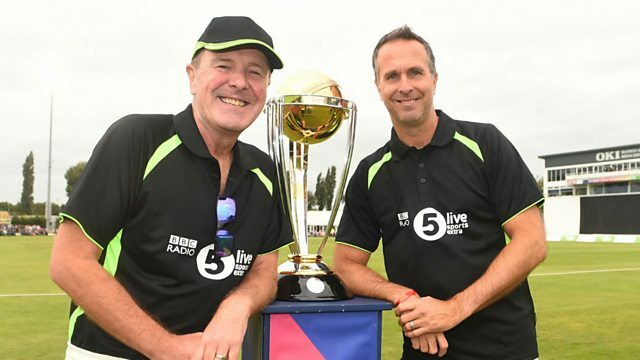 Phil Tufnell, Michael Vaughan and Mark Chapman discuss the biggest cricket stories of the day. The guys are joined by former England batsman Mark Ramprakash after he was dropped from England's coaching set-up for the Ashes. In an in depth interview Ramprakash tells Tuffers and Vaughan what he wants to do next, why England collapse when they get bowled out and dealing with the mentality of the England team. Former England women’s captain, Charlotte Edwards joins the pod as England women head to Sri Lanka for three one day internationals and three T20's. They won the T20 series against India with a game to spare, but lost the 1 day series in Mumbai 2-1, so why did England outclass the hosts in the shortest form of the game, but not in the one day series? The boys try to find out why that is. And after the 50 over World Cup, England's white ball focus will shift to the next T20 World Cup in Australia in 2020 - and Eoin Morgan said he "absolutely" wants to remain England captain for that....so should he be? That is discussed and more on a bumper edition of the Tuffers and Vaughan podcast.